Why submit bill requests now? Submitting bill requests early allows legislators, legislative staff, and stakeholders more time to research, consider, develop, and draft bills. And there are other benefits for legislators who can invest a little more time on bill drafting earlier in the fall. Reduce the time demands of drafting in December and January, allowing more time to prepare for session, meet with constituents and stakeholders, and tie up other personal matters before the session starts. Have the luxury of focusing on one or two bill requests at a time. Once a bill draft is close to being finished, the request can be set aside and the legislator and drafter can start work on another bill. This way, a legislator isn’t just trading a busy December for a busy September or October, but instead leveling the time demands of bill drafting over four to five months. Allow legislative staff more time to assist in developing and drafting the legislation. Staff is more readily available to attend meetings, consult on drafting language, and, if needed, provide in-depth research before December. A lot can change between now and January and it may seem that drafting in September and October could be a waste of time. After all, a legislator may need to significantly change, update, or even withdraw a bill draft before introduction. But that’s okay, because it’s usually easier and faster to revise or rewrite an existing bill draft than to create it from scratch at the last minute. Even if a legislator finds that he or she must withdraw a bill request, he or she doesn’t lose the benefits of early drafting efforts. Early interim bill drafting allows a legislator and the bill’s stakeholders more time to make informed decisions about the bill’s content. Early interim drafting may require legislators to set some internal production deadlines to keep the bill draft moving along, especially when working with larger groups of stakeholders and constituents. With a bill draft in hand, even if it’s only an initial draft, a legislator is better equipped to know whether to introduce the bill, who to approach for second house sponsorship, and where the bill fits best in his or her bill introduction order. If a legislator has his or her bill drafted in the fall, he or she may authorize a fiscal analyst to provide an early estimate of how much the bill may cost. 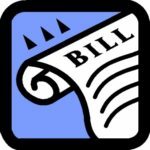 Knowing how expensive a bill may be before it’s introduced enables the legislator to consider changes before the bill is introduced and becomes public. The ability to review drafts of bills before the December 1 deadline is one of the best reasons to use more of the interim to develop and draft bills. If a legislator must decide whether to withdraw and replace one or more bill requests, then it’s best to make that decision before the first bill request deadline when the rules allow greater flexibility in making and replacing bills. Next Post: Colorado General Assembly’s New Website is Live!